Carob Powder is a naturally nutritious replacement for cocoa or chocolate. The taste and look is similar to cocoa. Carob contains higher amounts of natural sugar, requiring very little additional sweetener to be added. Carob contains much less fat than chocolate or cocoa, several minerals and no caffeine. 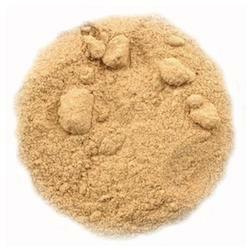 This carob powder is roasted for a rich flavor and aroma. Carob is Alive & Well's recommended choice for use by individuals with any history of candida as well as individuals allergic to chocolate or cocoa.